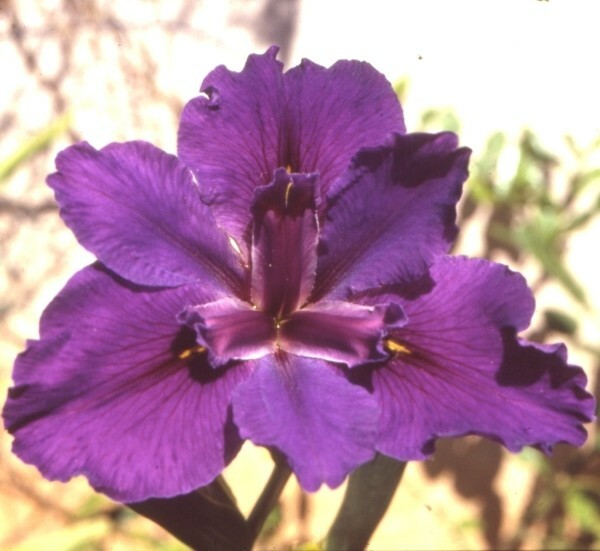 'Louisiana Derby' (Mary Dunn, R. 1986). Seedling L43-78-7. LA, 32" (81 cm), Early to midseason bloom. Wine violet, inconspicuous yellow green signal. 'Charlie's Michele' X 'Blue Shield'. Bay View Gardens 1987.